College students eager to sneak in a summer fling before going back to campus are in luck: Tinder, the location-based dating service that has been sweeping the twenty-something singles scene, is now available on Android as well as iPhone. For those unfamiliar with Tinder, the system is fairly simple: utilizing the GPS data in a smartphone, users can swipe through photos of the opposite gender in a classic “Hot or Not” quickmatch game, where only first names are listed. Tinder assures that all of these decisions are kept private, unless it’s a positive match. If two nearby singles express interest in each other’s looks, they are then invited to view the other’s pictures, see interests through information gleaned from Facebook profiles, and speak via private chat. A new feature, released in late May, also allows a user to play “matchmaker” for friends, inviting two people to chat within the app. Of course, in both cases, the couple takes it from there. 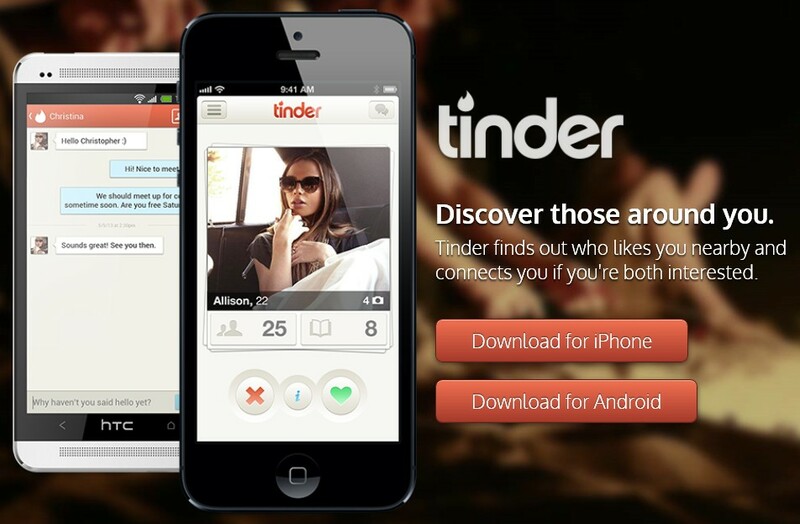 Tinder burst on the scene in late 2012 for iPhone, and quickly rose to the top of the dating app world. Since its launch, the company has entertained more than 7 billion separate profile ratings and more than 100 million matches between users. And it’s not just for swinging singles in the city: Tinder has even caught on in the conservative Mormon ecosystem of Brigham Young University, where users have praised it for breaking the ice. The movement onto Android is a natural one, given the platform’s dominance worldwide. A foray into the Google Play store indicates that the company is certainly out to make Tinder more than just a U.S. product. I guess Adam and his adorable girlfriend are part of that BYU ecosystem mentioned above. They live in the same off campus housing complex and they met by “swiping” each other. What an interesting thought. John and I met on a “blind date.” That means we didn’t see each other until I answered his knock at my door. His older cousin, Fred and my Dad, who live in California, lined us up. It took John more than a year to call, once he had my name. I suppose it took him that long to call because he didn’t trust his cousin’s assessment of “Hot or Not.” In the olden days we had to figure those things out in person. I wasn’t such a bad system, after all. It just took us a little longer.